There are lots reasons you might renovate your home. Maybe you’re sick of looking at those old carpets or your bathroom is falling apart. One thing that puts people off going through with a renovation is the money it will cost. But, if you look at home renovations as an investment rather than an expenditure, then you might change your mind. If you’re planning on selling your house, then those home renovations could make all the difference. Certain upgrades to your home can make it more appealing to buyers. This means your home will be more likely to sell and you might even get a higher price for it. But, not all renovations are made equal. So, let’s look at which upgrades will help your resale value and bring you the best return on your investment. If you’re selling your home soon and are looking for a quick and affordable way to add to its appeal, a simple coat of paint could do the trick. This makes your house look more appealing and like it doesn’t need much work. If you’re going for a colour change, opt for neutral colours that won’t put people off. The kitchen is one of the most important rooms in the house, so it should be up to date. But, you don’t need a complete remodel. Minor changes and upgrades can go a long way, even bringing in a bigger ROI compared to a major remodel. Installing new countertops, new appliances, or a new floor could give your kitchen the sheen it needs to attract buyers. Work with what you’ve got when it comes to updating the bathrooms. Adding a new bathroom may seem like a big appeal to buyers, but it is a costly job that brings little return on investment. Remodelling your existing bathroom is a more sensible option. Big changes like installing a new toilet or changing a bathtub to a new shower are popular upgrades. For smaller changes, redoing the grout around your tiles makes a big difference to the room’s appearance. Hardwood flooring is one of the most sought-after features of a new home. If you have carpets or old, tired-looking wood floors, then this is the upgrade for you. New hardwood floors could bring a value of 70-80% of the cost to install them. If you’re not keen on living with hardwood floors, then adding a large area rug to the room will make it more comfortable for you. This one not only helps when selling, but it also lowers your living costs while you’re still in that house. Adding insulation, installing more energy efficient windows and appliances, and upgrading to an insulated garage door are all effective ways to make your home energy efficient. This lowers your energy bills and is something that buyers look for in a new house. They want to spend less on bills, too! The front of your home is the first impression that buyers get of it, so don’t overlook it. Small touches like brightening up your front garden and power washing the paving stones are a good place to start. If you want to invest more money in this, then installing a new garage door is one of the best investments you can make. Replacing your front door can also help, improving the security of your home as well as the way it looks. 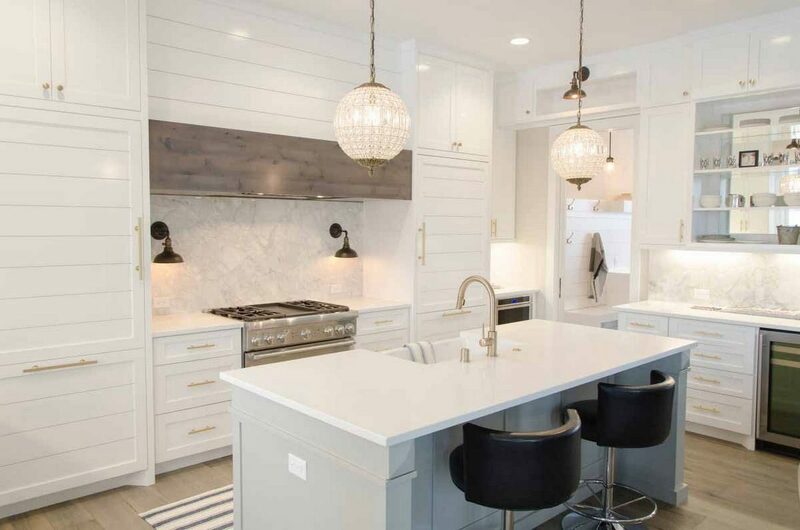 Prepare your home for resale with any of these popular home renovations. To make your renovations run more smoothly, make sure you get in touch with bySTORED to store away your furniture and fragile belongings during any major work.